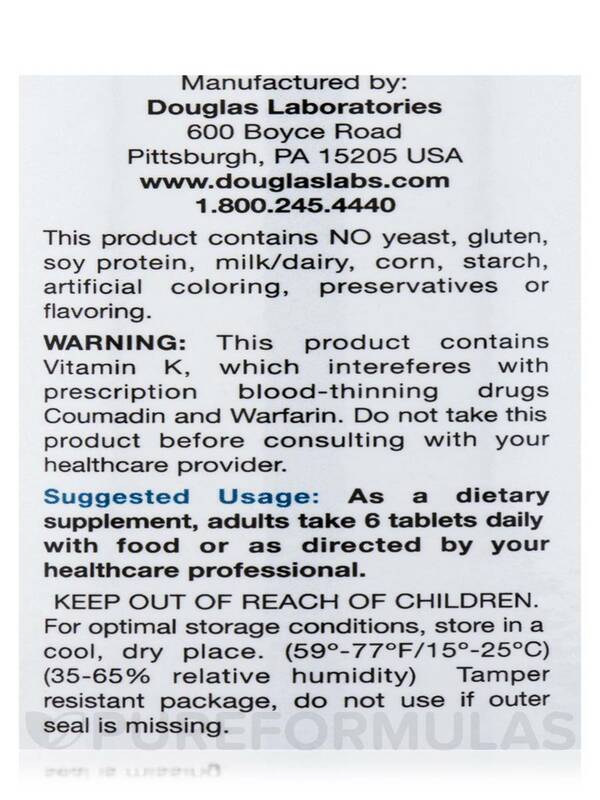 Basic Preventive 4 by Douglas Laboratories is great for me because I can't take copper. Numerous studies suggest that a number of individuals aren't receiving the recommended amount of many essential nutrients from their diets. 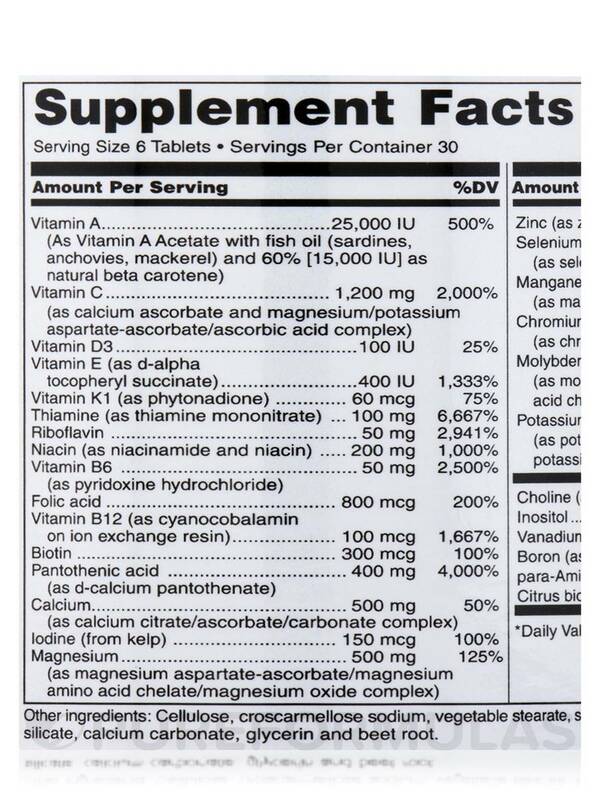 That's why Douglas Labs has formulated Basic Preventive 4‚ an iron and copper free multivitamin that also features ingredients that may exhibit antioxidant properties. 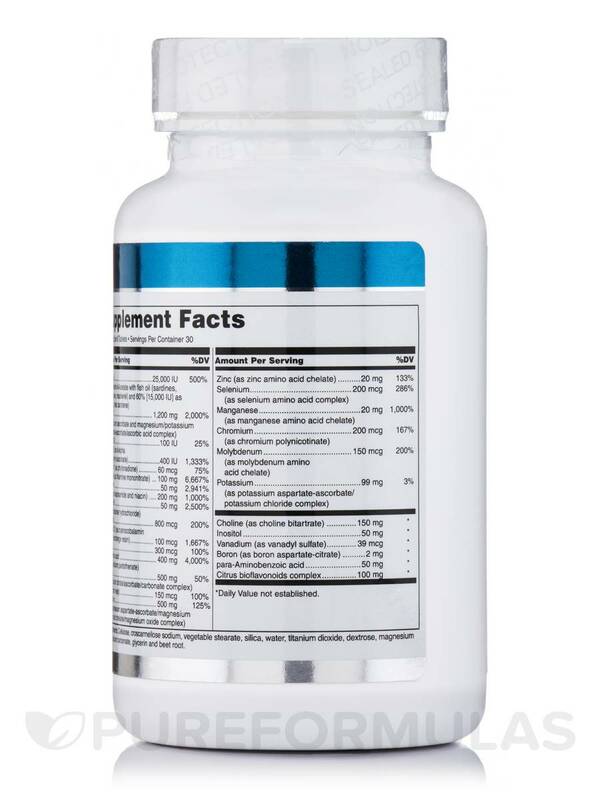 Now‚ as a multivitamin‚ Basic Preventive 4 features over 25 essential vitamins and minerals‚ supporting a variety of crucial bodily functions like blood health‚ immunity‚ bone health‚ and much more. 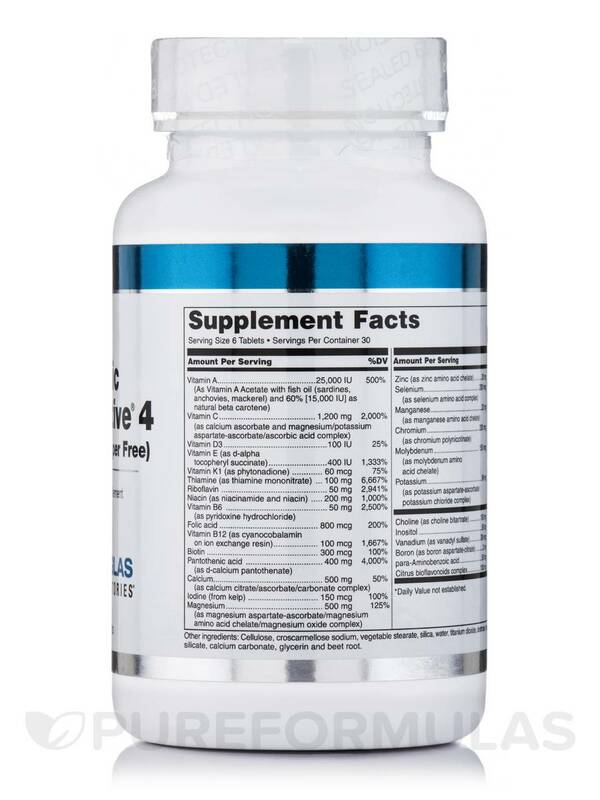 However‚ Douglas Labs Basic Preventive 4 is formulated to be much more than just another multivitamin. It features higher doses of vitamin C‚ A‚ E‚ and more‚ which is significant because these essential vitamins are also antioxidants. Research has shown that antioxidants may be potentially effective in stabilizing excess free radicals in our system. These free radicals are essentially atoms that have an odd number of electrons as a result of oxidative stress‚ which makes them unstable. There is great evidence suggesting that free radicals may play a factor in some signs of aging as well as certain serious health risks‚ which is why antioxidant protection is becoming more and more popular these days. 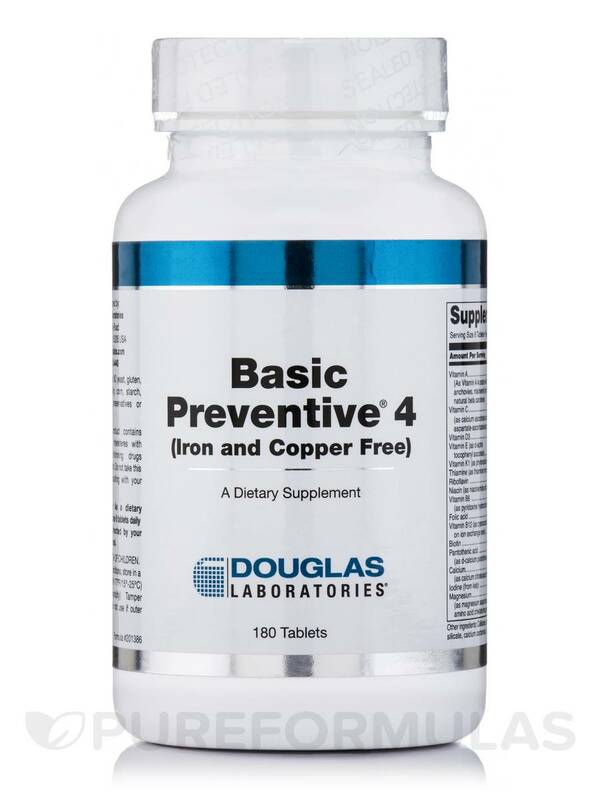 So if you're looking for a multivitamin that's more than just your everyday average nutritional supplement‚ you may want to consider Basic Preventive 4 (Iron and Copper Free) from Douglas Labs. Other ingredients: Cellulose‚ croscarmellose sodium‚ vegetable stearate‚ silica‚ water‚ titanium dioxide‚ dextrose‚ cellulose‚ magnesium silicate‚ calcium carbonate‚ glycerin and beet root. 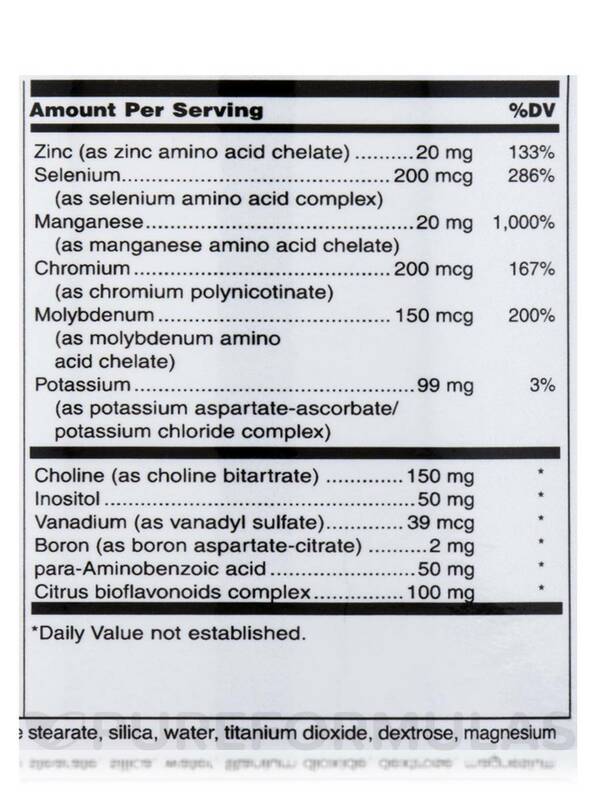 This product contains Vitamin K which interferes with the prescription drugs Coumadin and Warfarin. Do not take this if taking either of these drugs. Store in a cool‚ dry place‚ away from direct light. Keep out of reach of children. 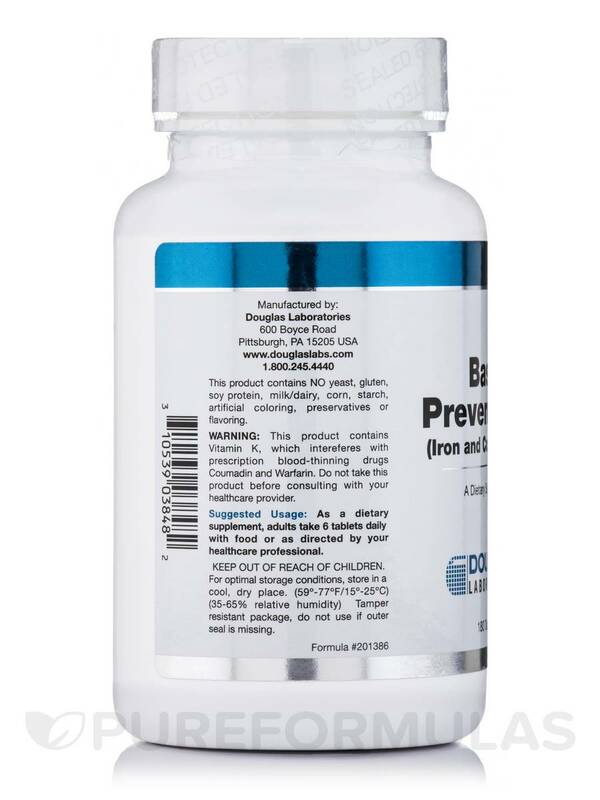 Basic Preventive 4 by Douglas Laboratories is an awesome multi.